The Edge offers numerous classes for climbers of all ability levels. From the novice who desires to learn how to move efficiently on the wall to the expert who wants to learn some of the skills necessary to bring his game outdoors. Our Experienced guides will give you all the tips and tools to raise your climbing to the next level. 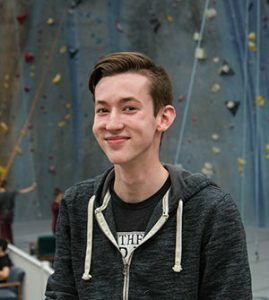 Learn advanced techniques in Bouldering, Lead Climbing*, or Top Rope Climbing. Receive instruction on what potential weaknesses to work on and how to do so. Learn something new about climbing for FREE with active membership. If you plan to use The Edge Halfmoon as a facility to train your clients, please contact Adam@TheEdgeHalfmoon.com for a copy of our Facility Use Agreement and to familiarize yourself with our outside trainer policies.